The E80 is the flagship model of the Sound Magic E Series. Featuring refined sound and masses of detail, the E80 is designed with audiophiles in mind. The rigid aluminium exterior contains powerful custom 10 mm dynamic drivers, producing high fidelity sound, a wide soundstage and authentic, nuanced bass. The sleek and streamlined E80 design gives a comfortable fit for prolonged listening sessions and great isolation, for superior sound quality. Sound Magic have crafted three attractive colour variations, all with a high quality metallic finish. A strong twisted hi-fi cable, designed to resist tangling, is finished with a metal jack plug. The included semi-rigid carrying case and noise-reducing eartips make the E80 the ideal earphone for the audiophiles on the move. Sound Magic have tuned the E80 to deliver a natural, balanced sound with impressive reproduction of acoustic instruments. 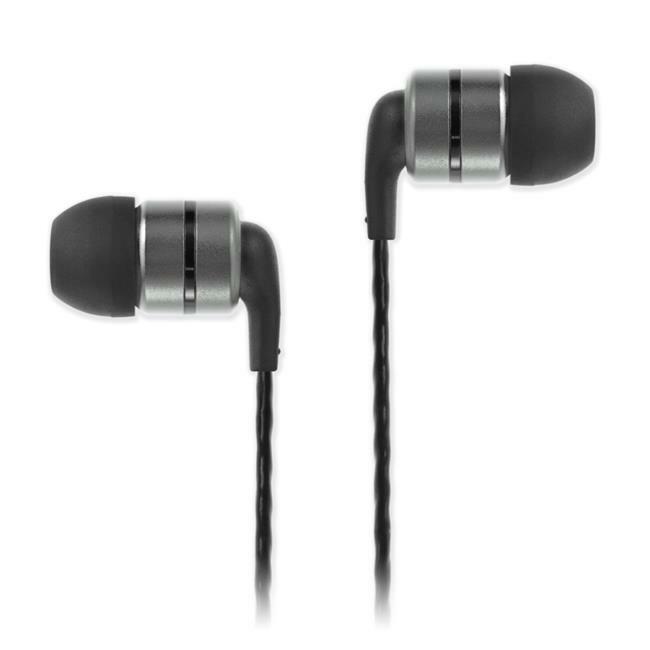 The E80 is a dynamic earphone that offers detailed sound which brings out previously unheard elements in your music. The realistic bass response, delicate vocals and alluring trebles make the E80 the perfect earphone for both critical listening sessions and everyday use.